University of Zambia lecturer Sishuwa Sishuwa is wondering where President Edgar Lungu has gone. Lungu was last sighted in South Africa a few days ago. He was said to be attending a two-hours meeting with that country’s president and another few hours of ‘routine medical checkups’. 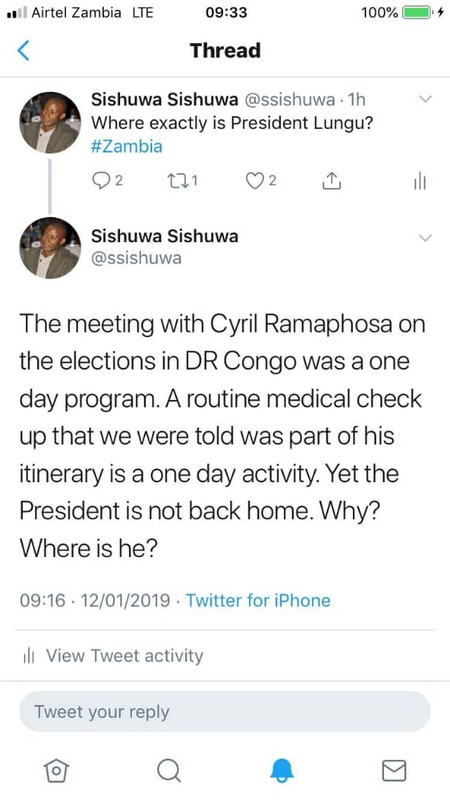 Since then, Zambians have not been told where he is. Instead, the country has been told that Lungu’s wife Ester will be going to USA with a huge delegation. 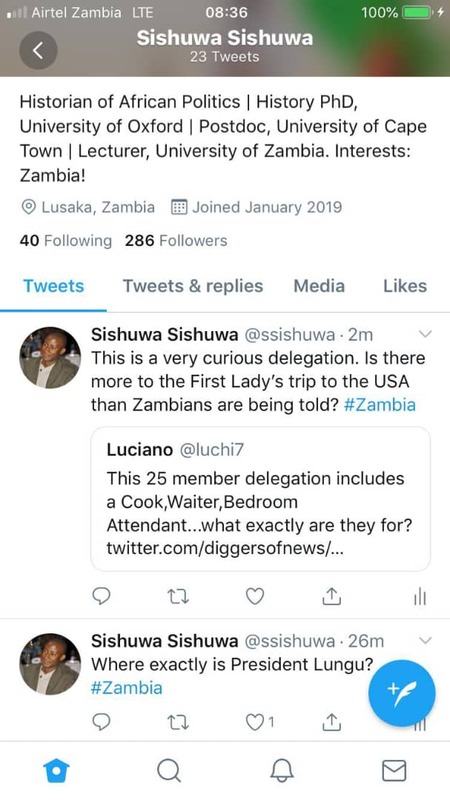 It is believed that Mrs Lungu will travel with 25 people among them a bedroom attendant, cook, cleaner, waiter, about seven police officers, four journalists, three secretaries, two fire brigade officers, a communications officer and accountant. This has fueled Speculation that Lungu has gone to the USA for medicals, that is why Esther is traveling. Is the Litunga finally waking up ?